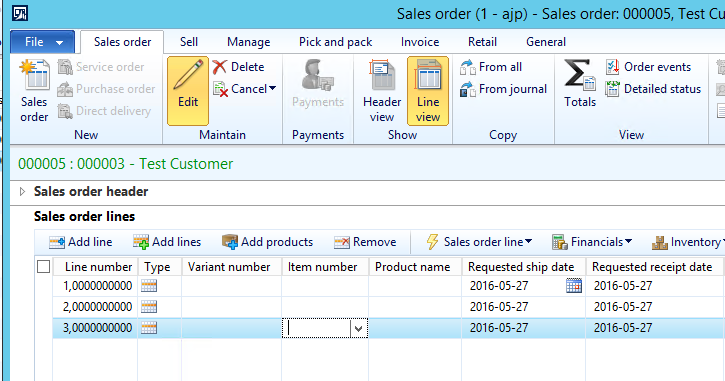 There are cases in all current versions of Microsoft Dynamics AX where the line number on sales order lines is not incrementally assigned and can therefore be assigned in duplicates. For the purpose of the post i have added the field “Linenum” to the grid in the sales order form. As you can see below the line numbers are assigned incrementally when creating order lines in an ordinary fashion. (one by one). Some sellers might decide to add a few empty sales lines to the order before picking the item number like this. At this point the line number still looks normal. But lets see what happens when when we start picking values for these lines and saving them. In this example i start by assigning an item number for the last row and then for the first row. As soon as the item number is assigned and i leave the field, the line number is changed to 3. That i can’t answer, but i know for sure that it’s not totally uncommon. If sales line number are not unique you might run in to problems with some customizations that uses the line number to identify the sales line. Our solution for this is to enforce a more “normal” behavior by adding a piece of code that deletes all cached sales lines every time a sales line is saved. 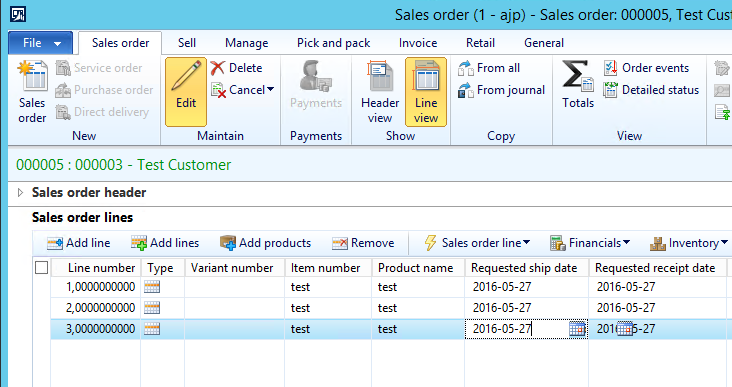 Simply add this method to the data source “SalesLine” in the form “SalesTable”. 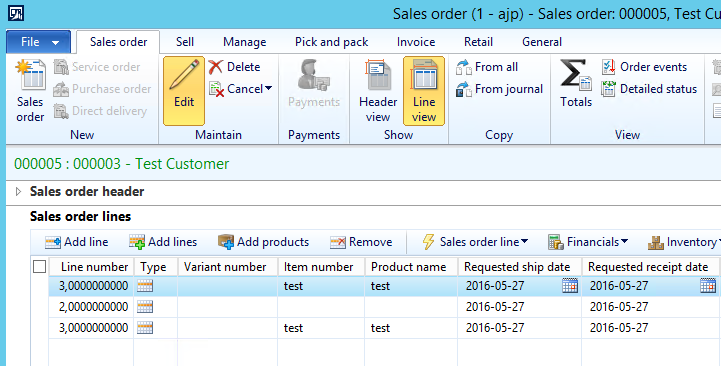 And call the new method from within the method “write” on the data source “SalesLine”. Put the call right below “super();”. Please let me know if you have a another solution. I tried this fixed but when I add item number it deletes other lines that don’t have item number. That’s exactly the point of the fix.